Xtremity wetsuit trousers are dsigned for all skiff sailing. They enable you to control your own body temperature much easier by having 100% control of what you have on your top half. 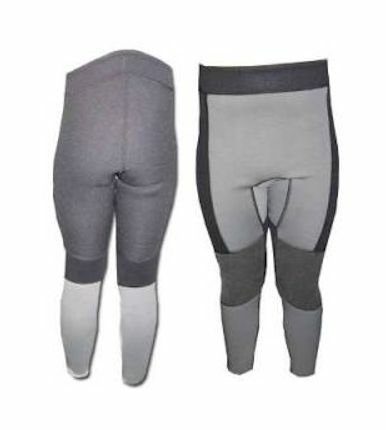 The trousers have a high cut back to ensure you have protection where your trpaeze harness sits, the bum and the knee areas are reinforced with revolutionary 3 dimensional abrasion resistant kevlar. This is the area which gets most abuse when kneeling down to get your stability. The Xtremity wetsuit trousers are the 49er class choice of champions.